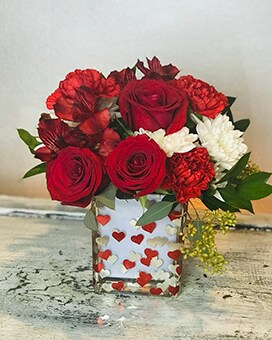 This bouquet is a real charmer keepsake cube with red and Silver hearts design. Perfect, playful way to celebrate love and friendship. Filled with red lilies, red roses, red carnation and white mum. Your valentine will remember when and where she got this one.